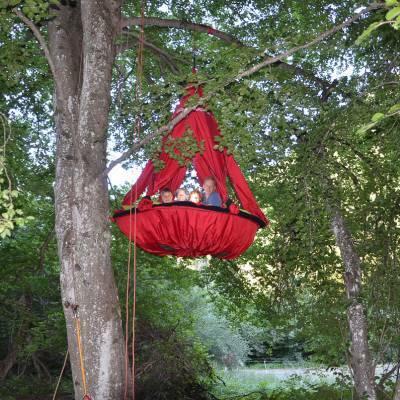 Most of us at some time, have been tempted to explore that cool, peaceful, leafy canopy of a tree, swing from a branch, or just sit up high and yell madly at our mates down below! 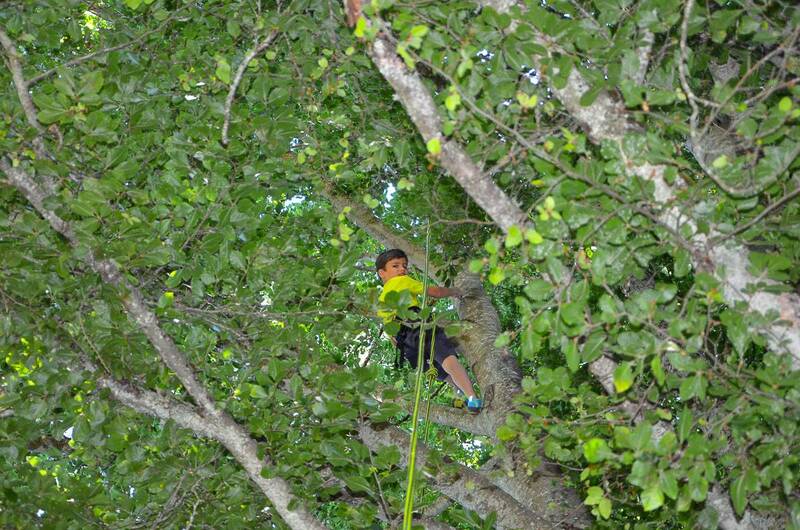 Well, tree climbing is no longer the domain of young children. 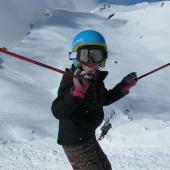 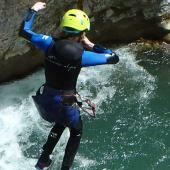 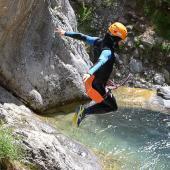 It is a fully recognised sport and it is great fun for all ages. 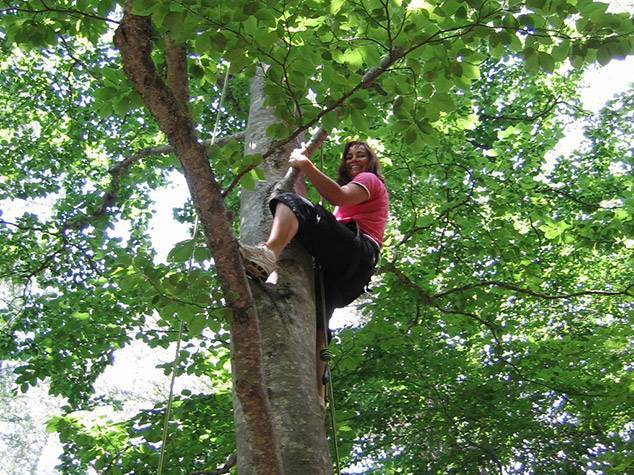 You wear a harness and are attached to a rope so you are totally safe, which means you can climb much bigger trees than you would ever have dared to climb as a child. 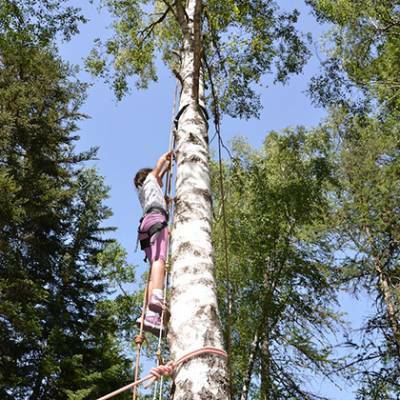 You can try different tree species (some are a lot harder than others), different climbing techniques and different ways of getting down! 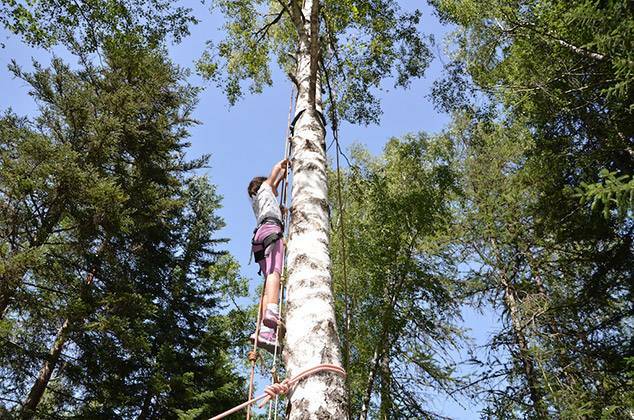 If you didn't know the difference between a pine tree and a beech tree before, you definitely will after this activity! 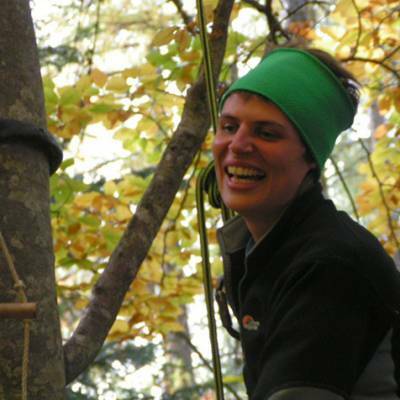 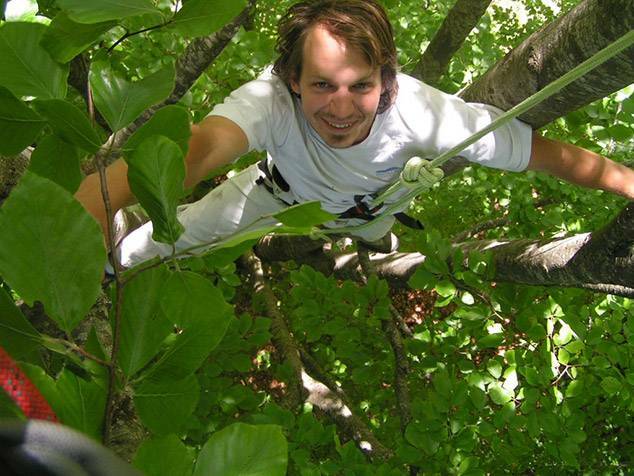 Our guides set up the rope systems for you in the trees, making sure they don't cause any damage to the trees, and they give you tips and advice on your tree climbing technique. 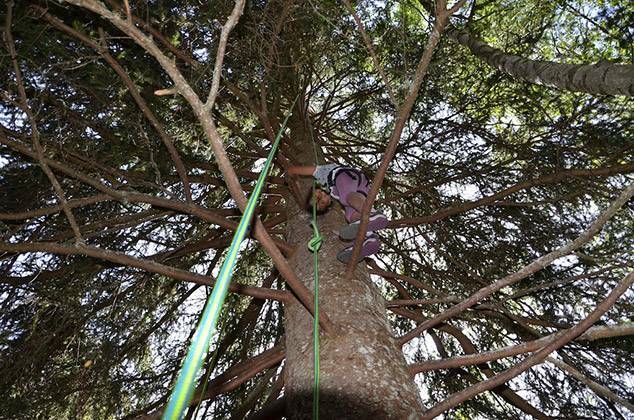 Sometimes rope ladders are used to climb the first sections of trees where there are less branches. 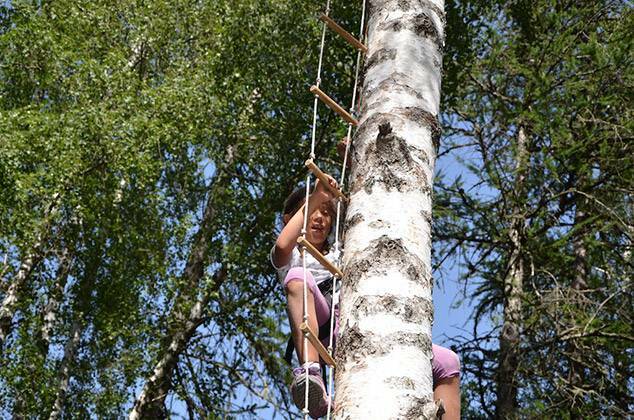 These can be quite tricky but very good fun! 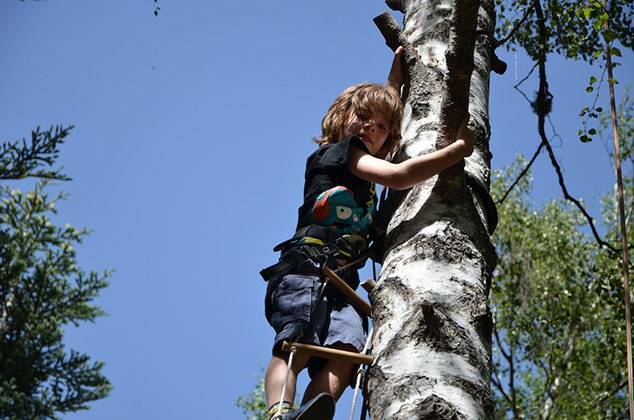 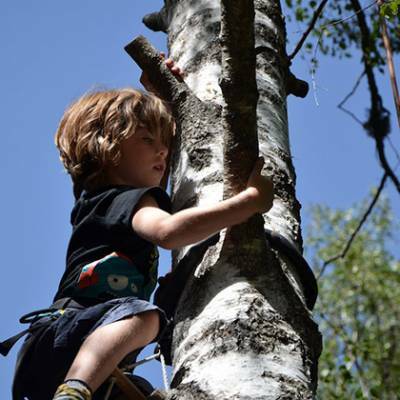 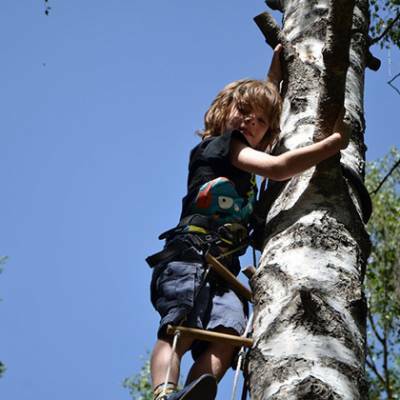 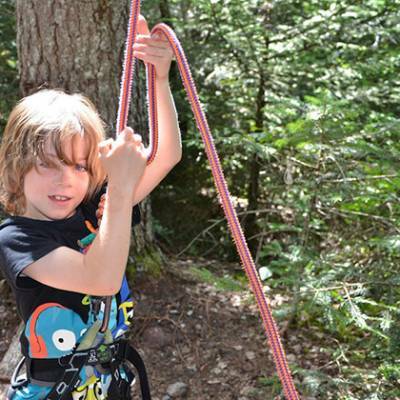 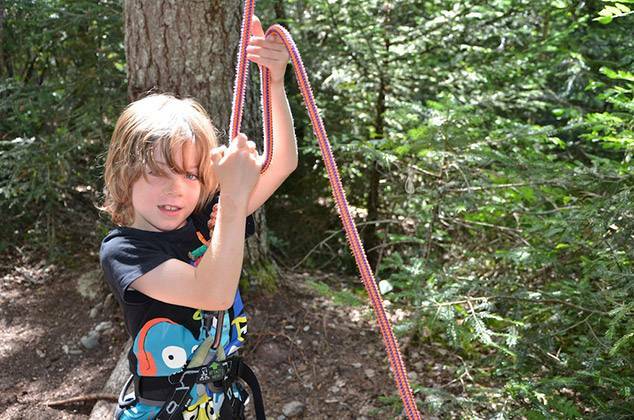 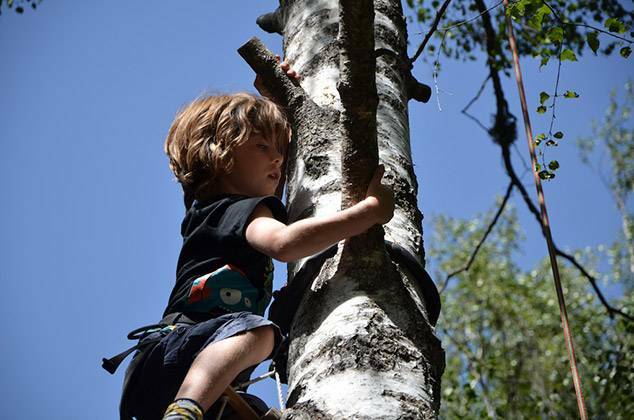 For very young tree climbers aged 3 to 6, the instructors rig up rope swings and hammocks in the trees for them to play on so they can still have fun in the forest even if they are too scared to climb up high in the trees. 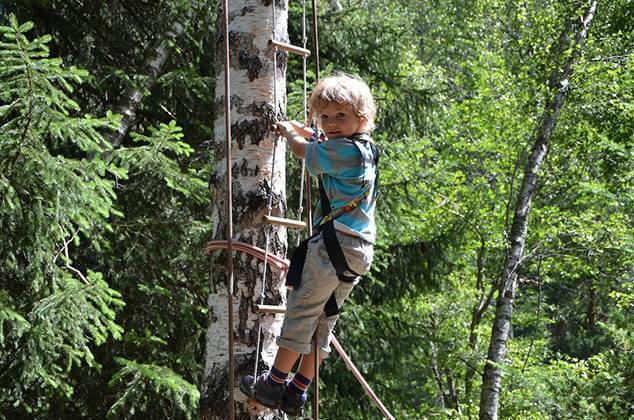 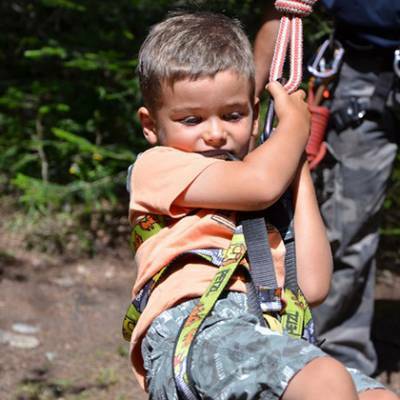 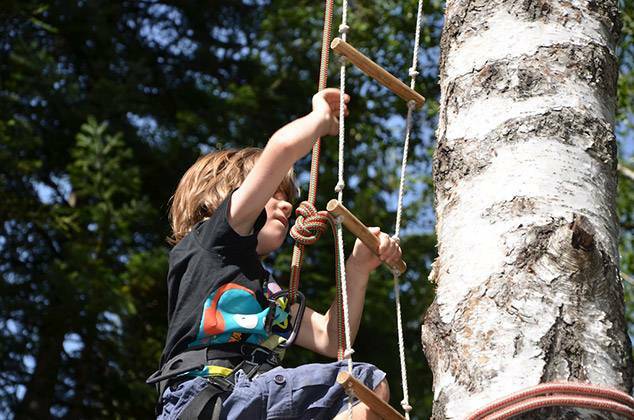 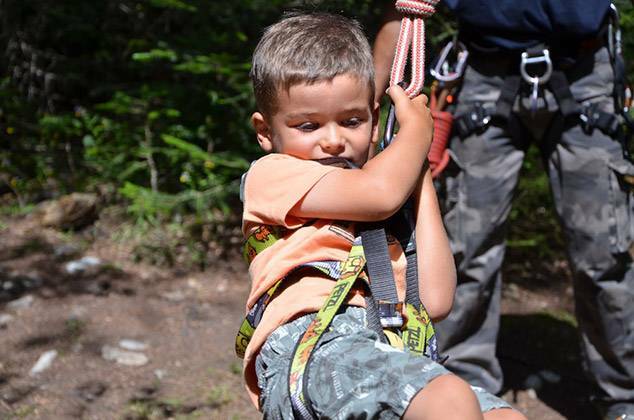 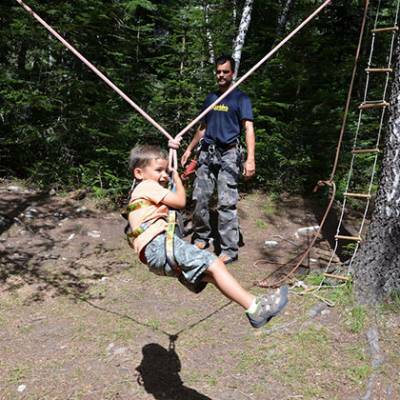 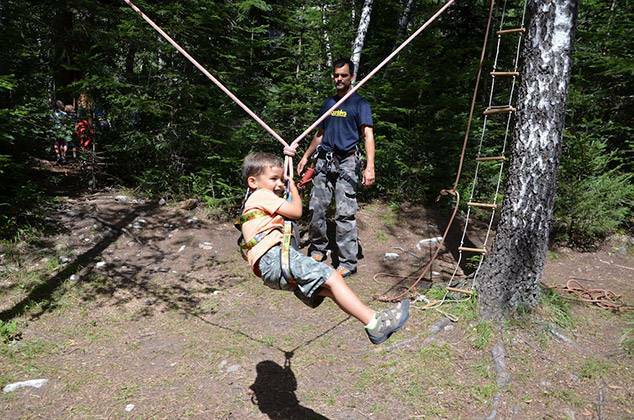 You can go for a half day or a full day in the trees and the activity is accessible for all ages (well maybe not babies!). 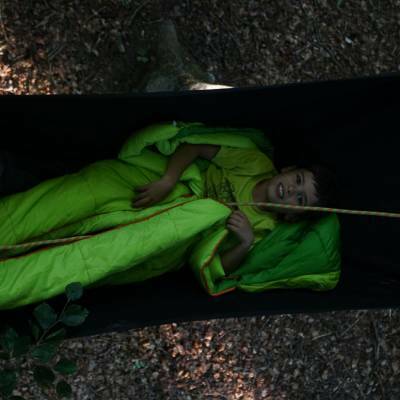 If you really want to experience the mystery and charm of the woods, you can spend the night in a hammock, listening to the leaves rustling and the noises of the night animals as they come out to play. 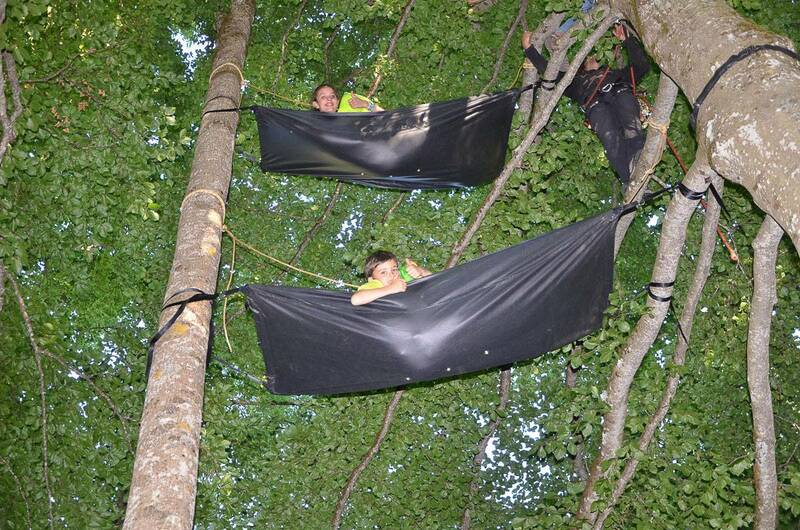 Your instructor will set up the hammock at the height of your choice. 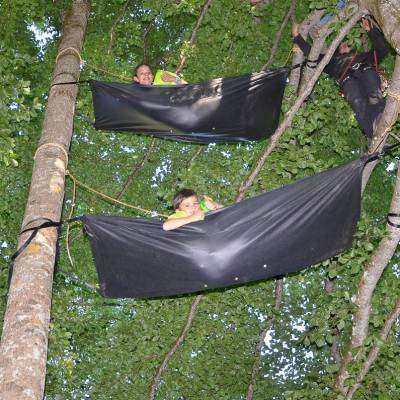 Some like to spend the night as high as possible whereas others like to know the ground is not too far! 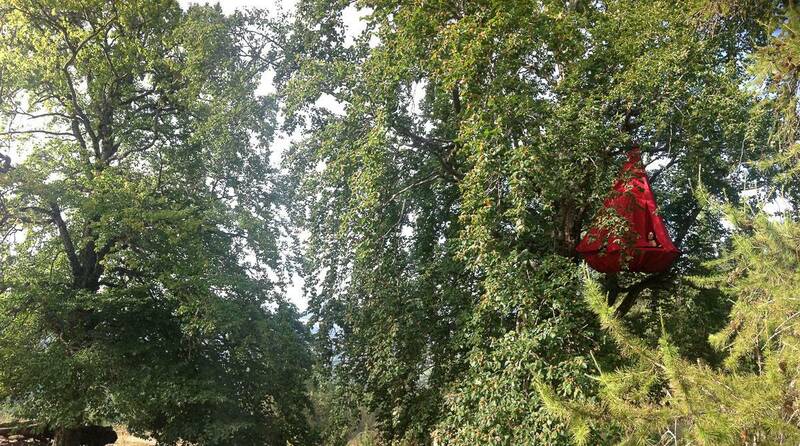 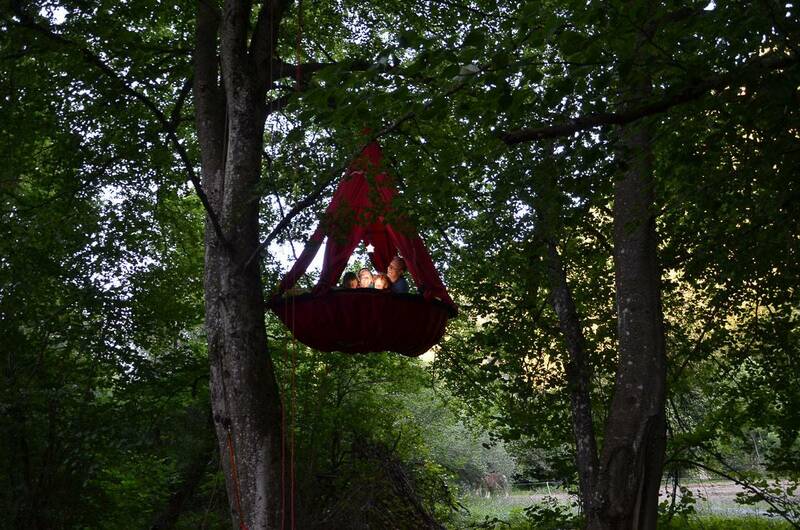 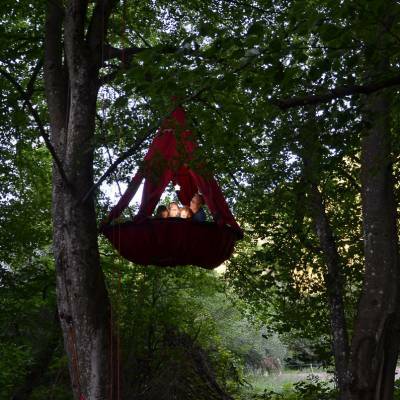 If you like the idea of snuggling up together as a family or couple for a night in the trees, then you will love our brand new suspended tree tents! 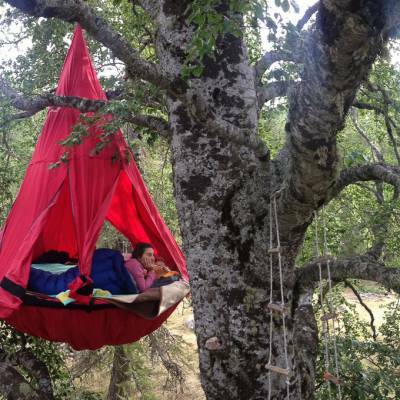 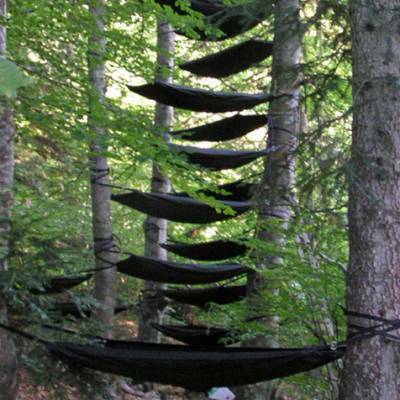 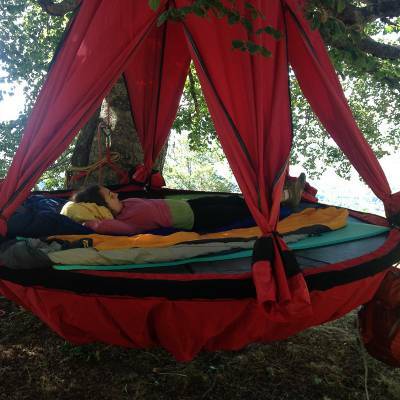 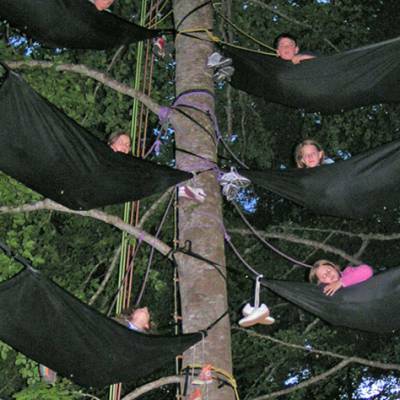 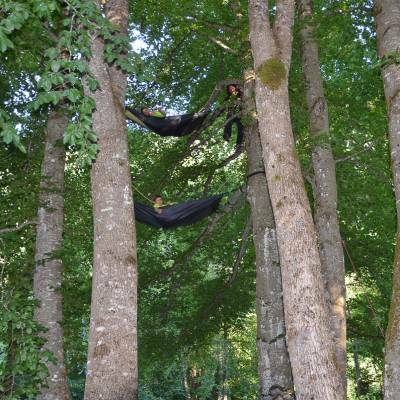 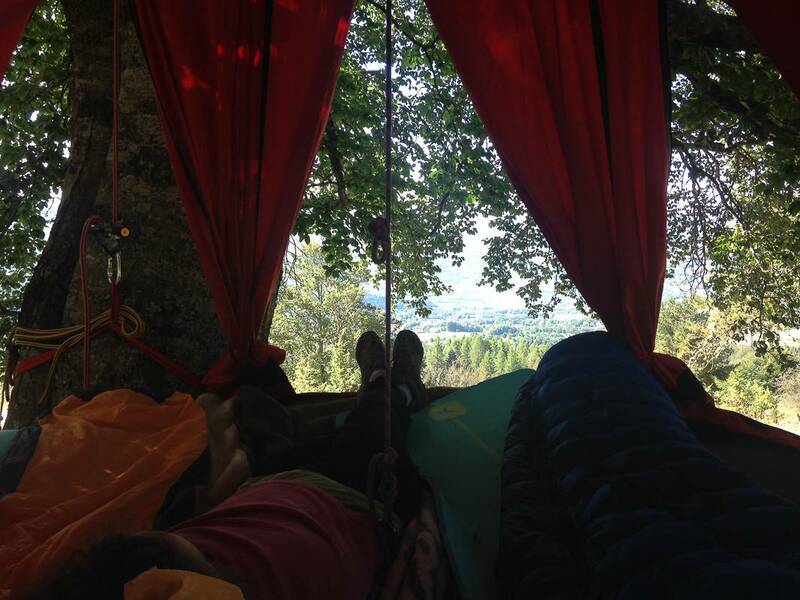 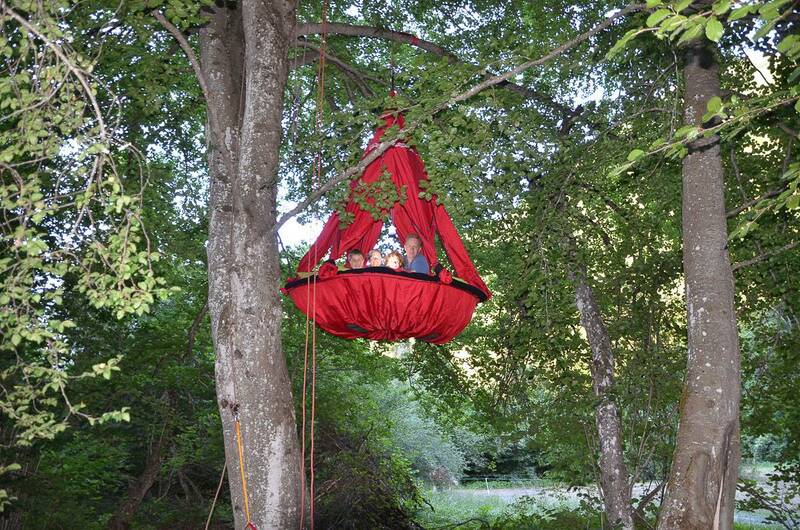 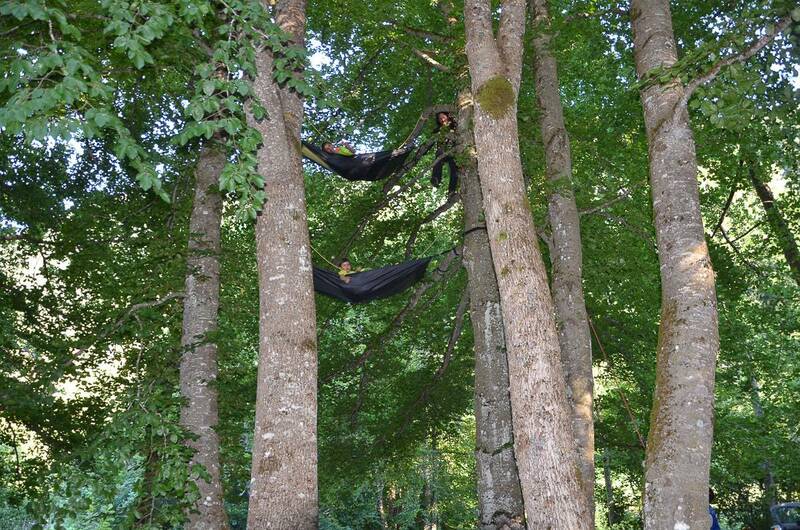 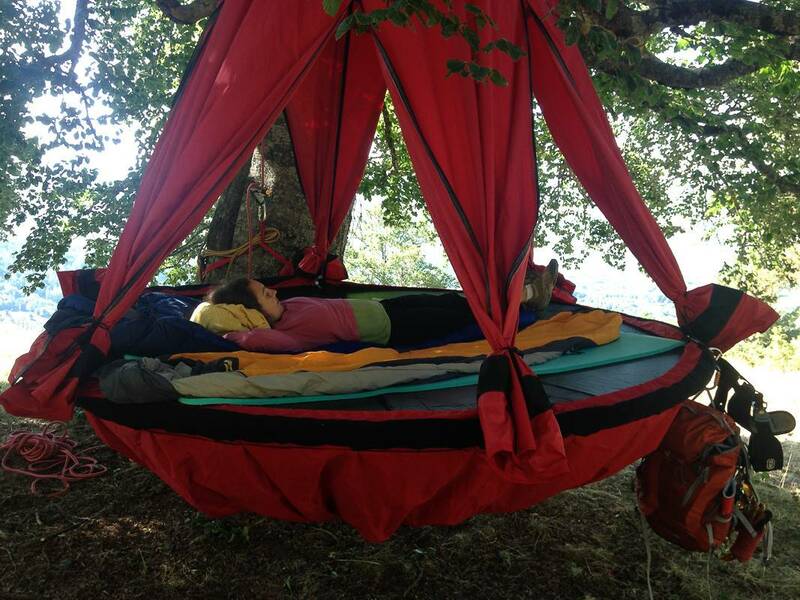 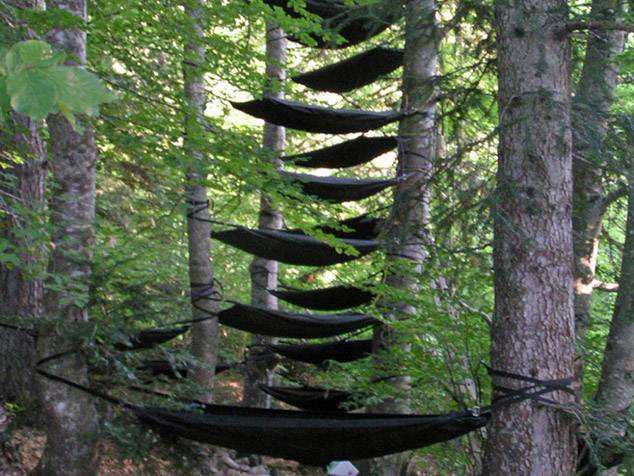 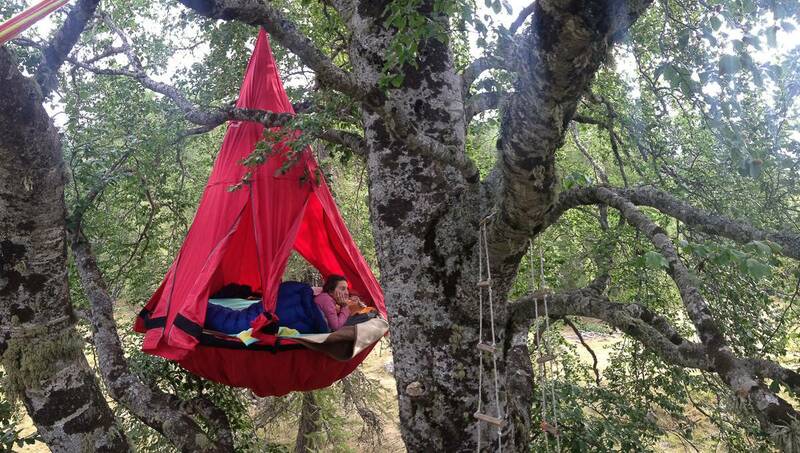 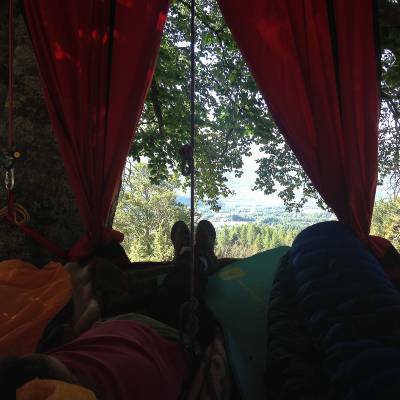 These "pendolas", as they're called, sleep up to four people and are suspended in the trees - a bit like the hammocks but you are not on your own! 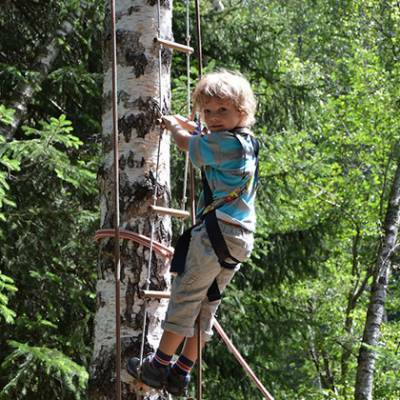 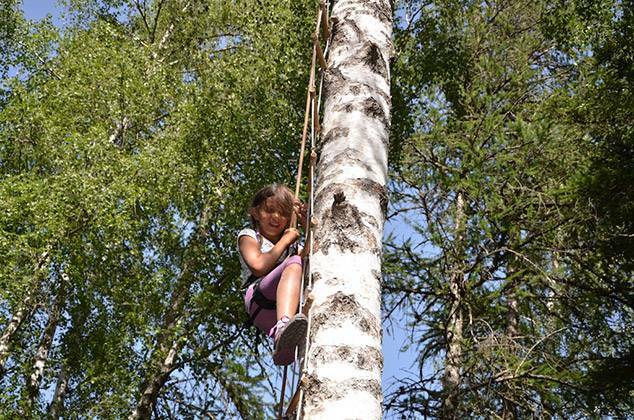 These activities are available as an extension to an afternoon tree climbing, and they make your adventure in the woods really memorable! 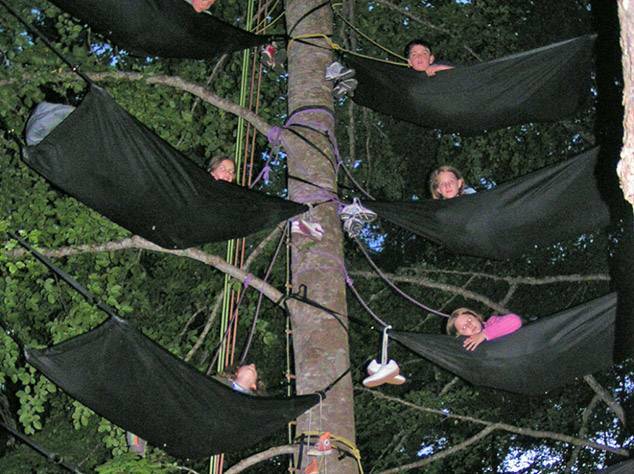 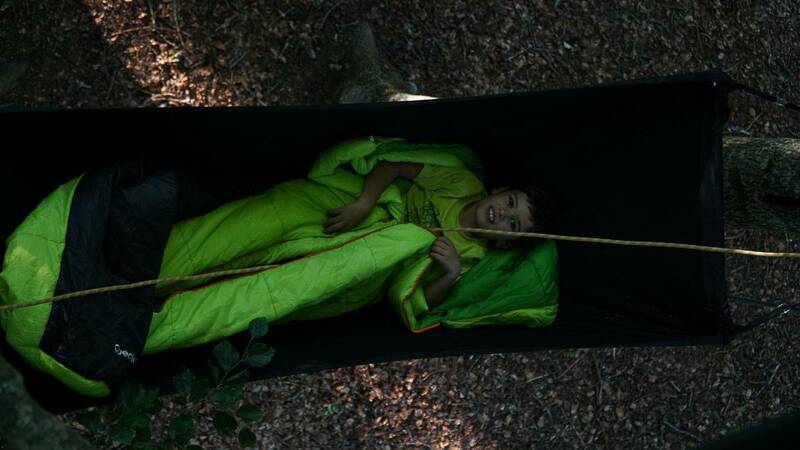 You can also read the Guardian's feature about our night in a tree tent activity! 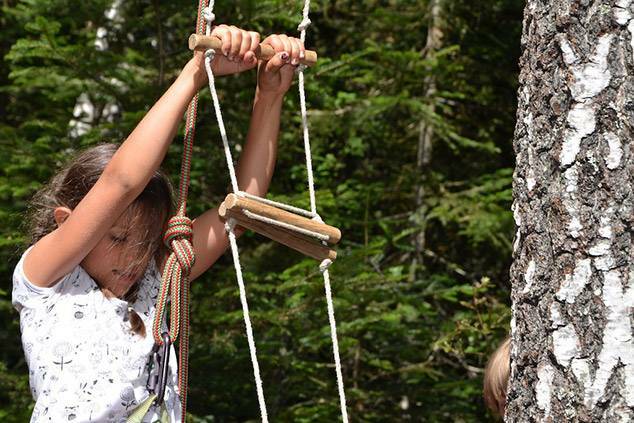 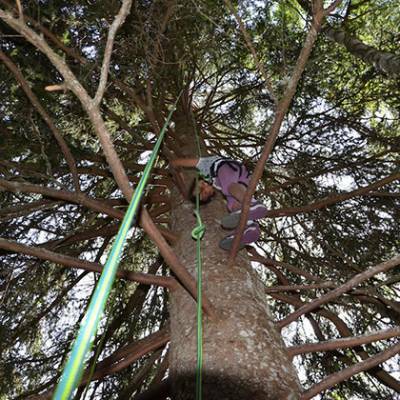 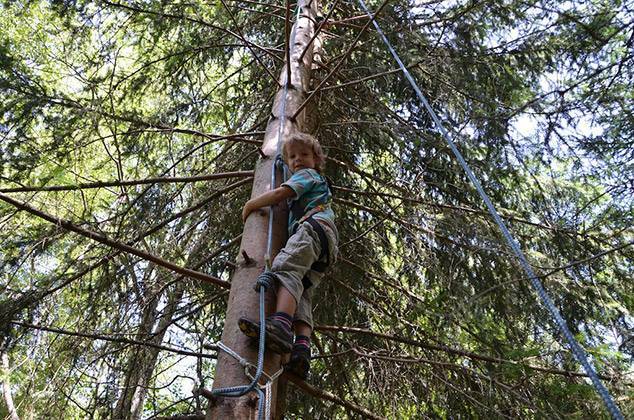 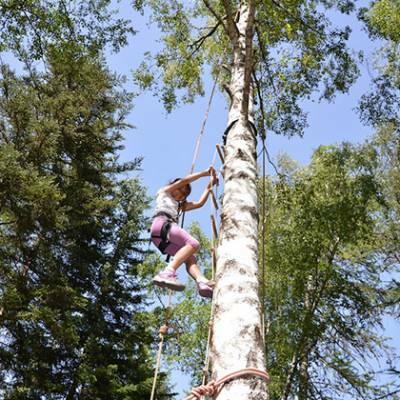 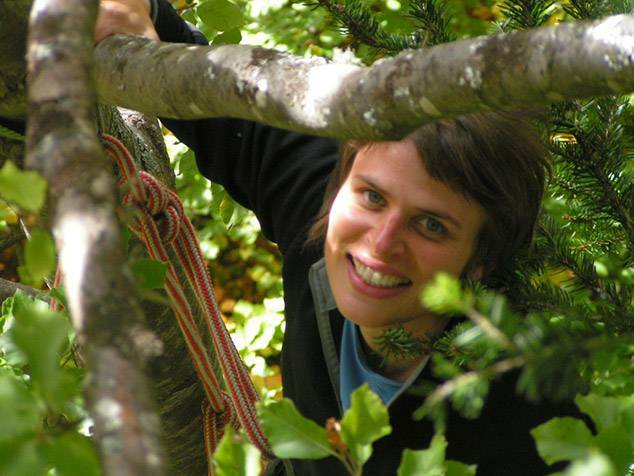 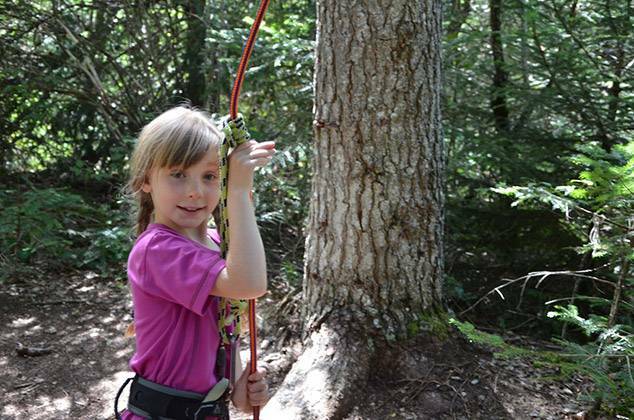 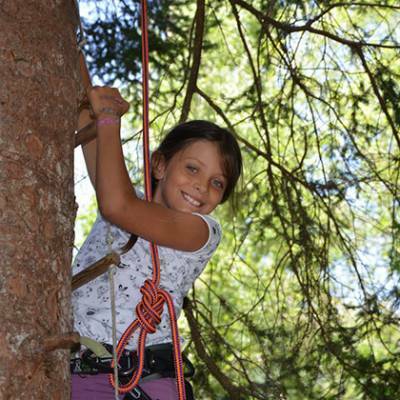 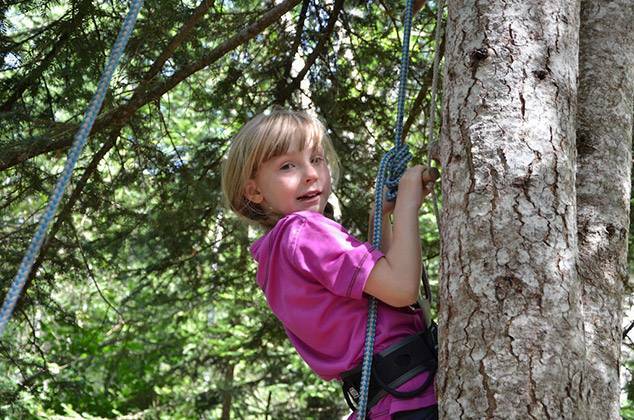 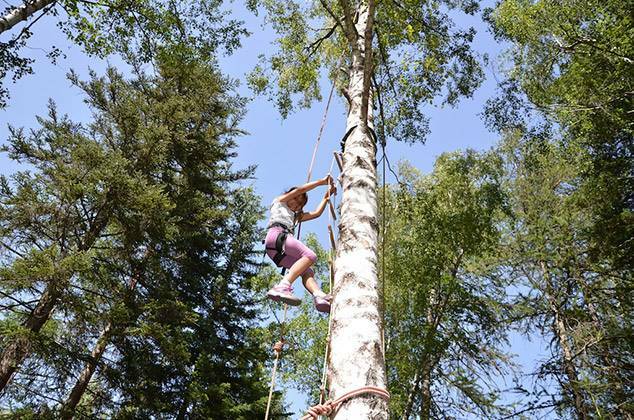 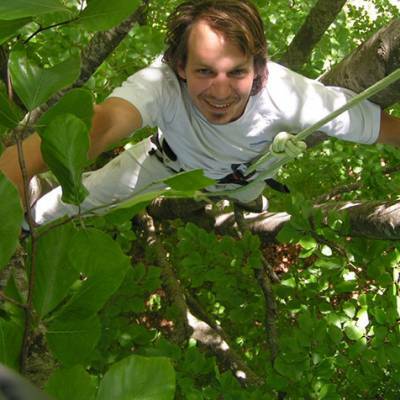 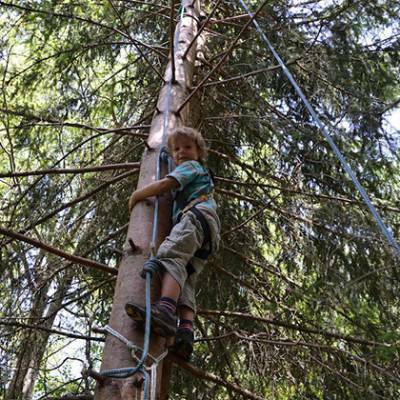 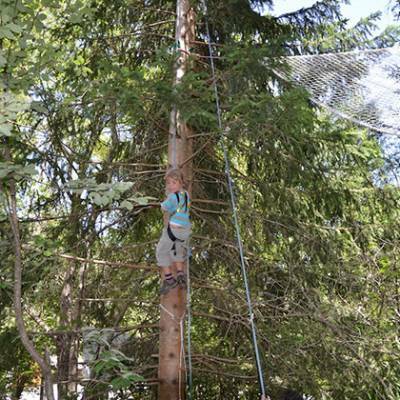 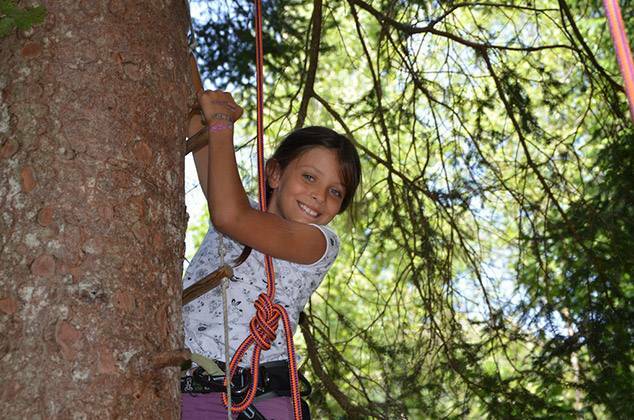 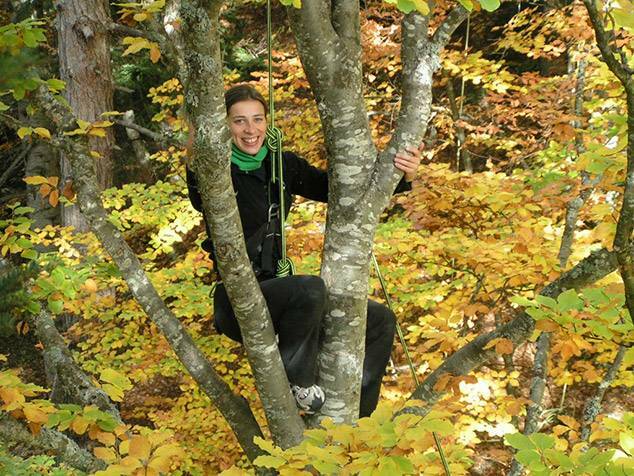 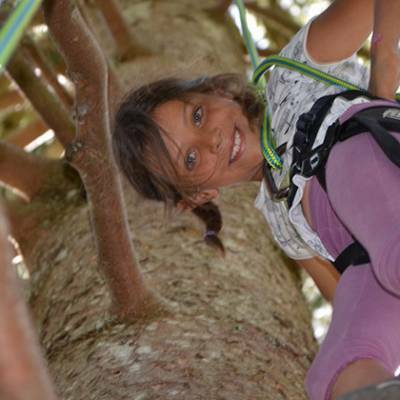 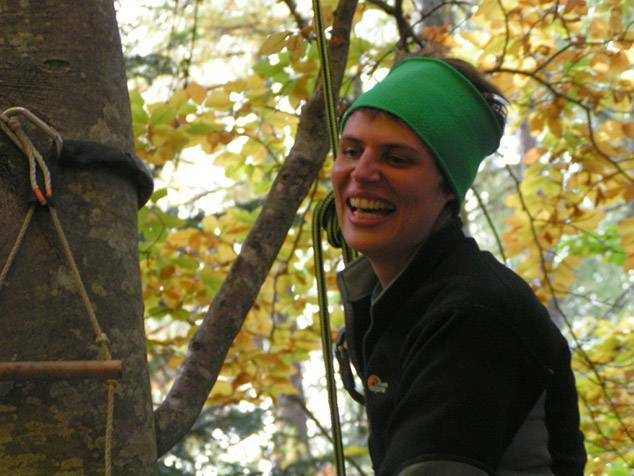 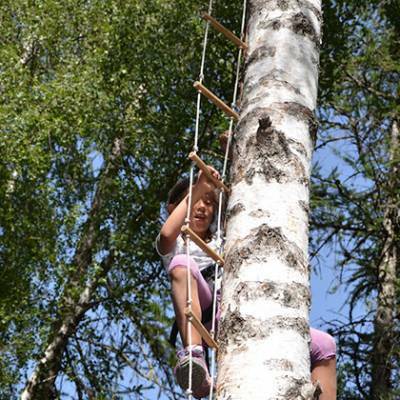 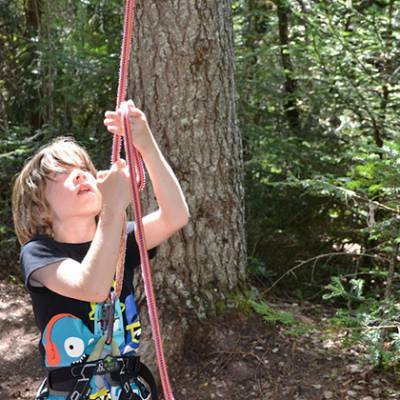 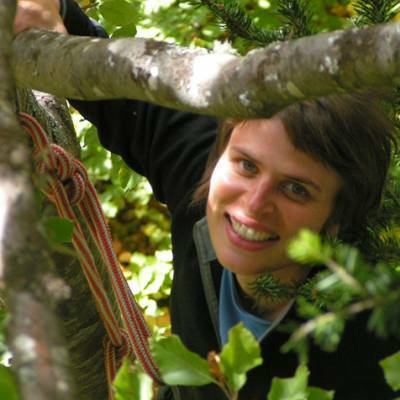 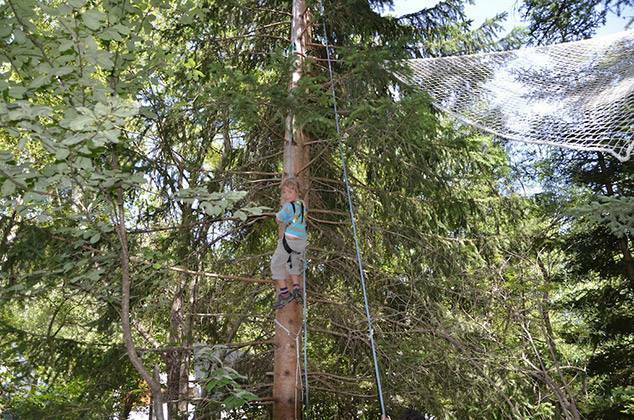 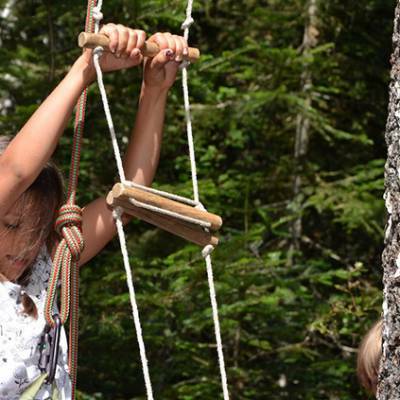 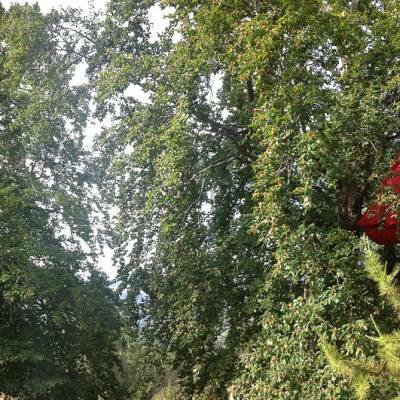 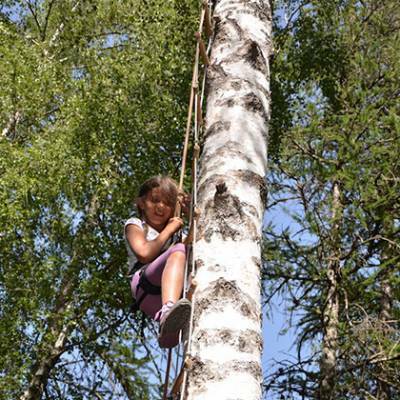 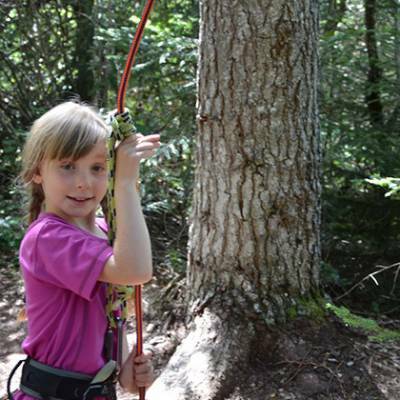 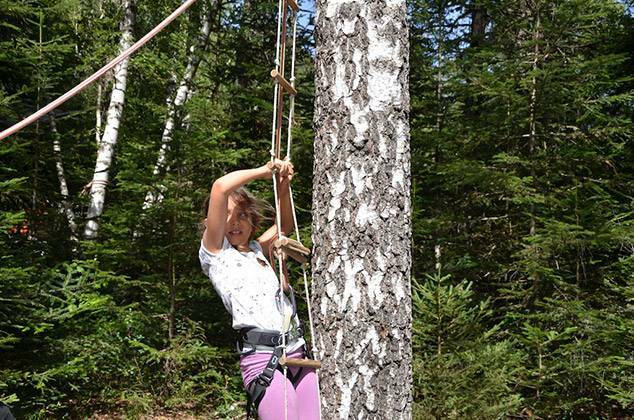 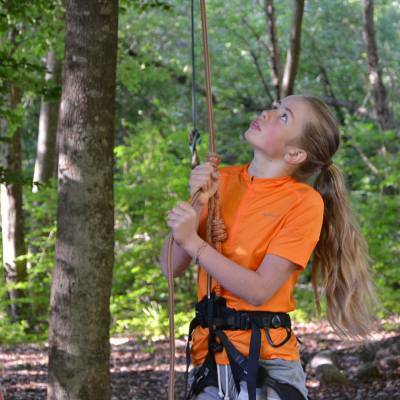 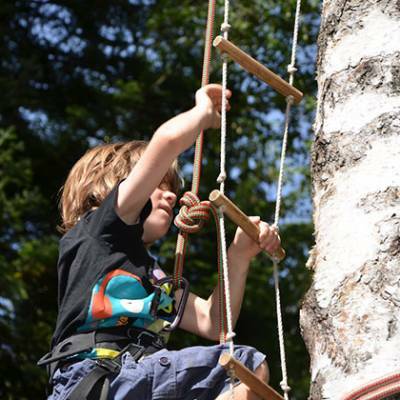 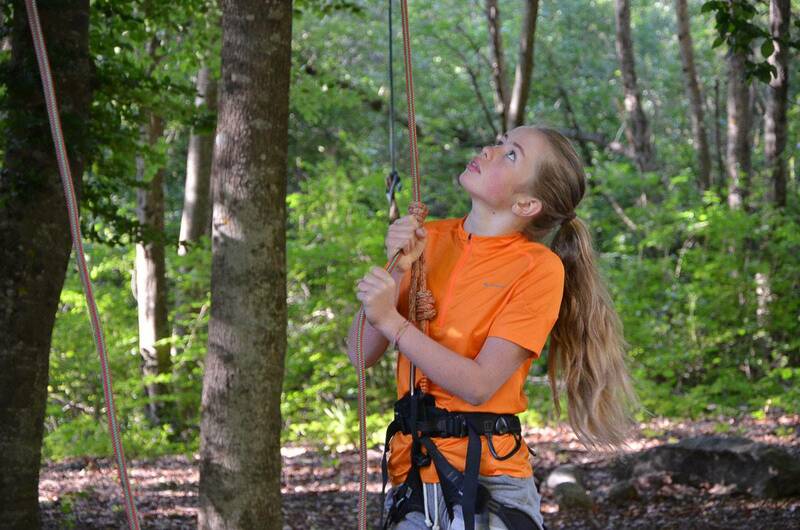 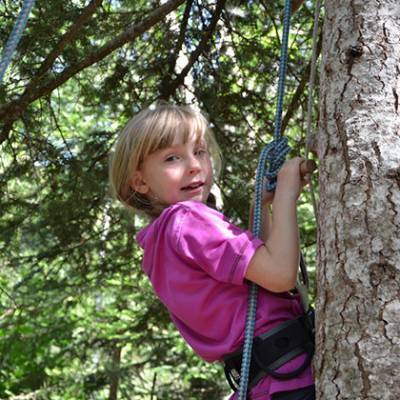 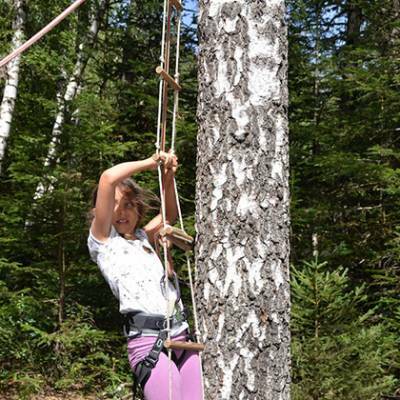 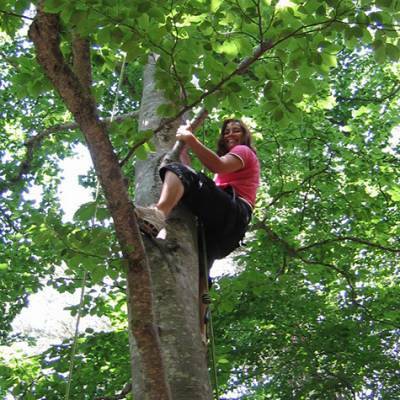 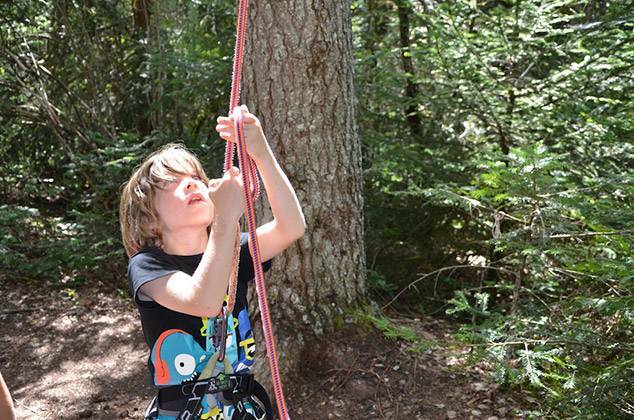 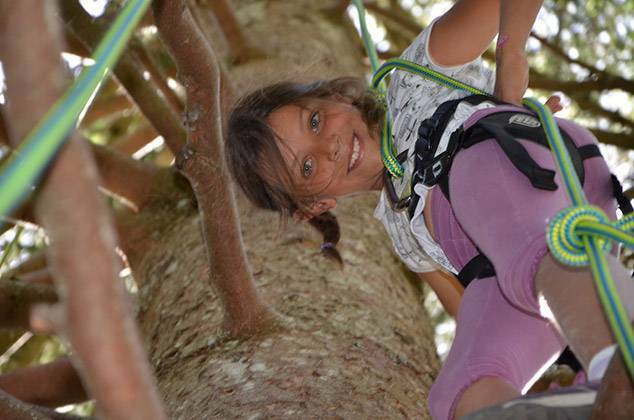 Read more about tree climbing on our blog! 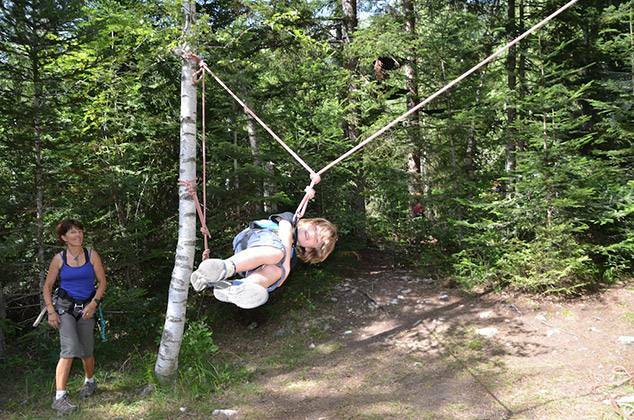 A fun way to explore the forest! 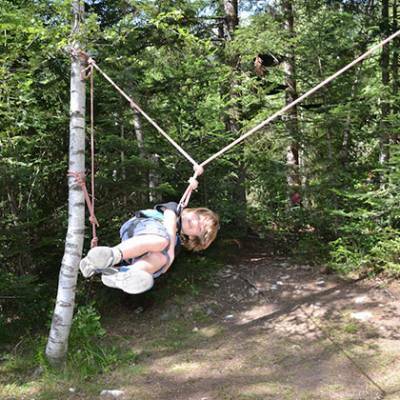 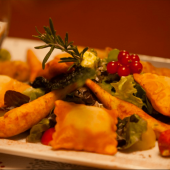 You might even rediscover the monkey in you! 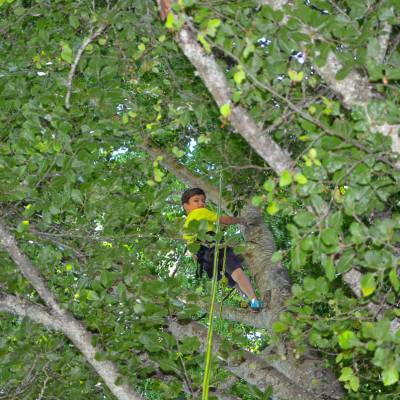 Minimum age for tree climbing is 4.